Samsung has upped the price of its processors made for Apple by 20 percent, as the Korean firm looks to get one over on its closest rival. The Wall Street Journal cites a report which quotes a "person familiar with negotiations between the two tech giants", apparently confirming this special price hike for Apple. The source said: "Samsung Electronics recently asked Apple for a significant price raise in (the mobile processor known as) application processor. "Apple first disapproved it, but finding no replacement supplier, it accepted the [increase]." 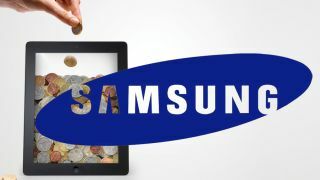 This is set to make Samsung a tidy amount of profit, with estimates suggesting Apple ordered 130 million units last year, and it on course to break 200 million this time around in light of the launch of the iPhone 5, iPad 4 and iPad mini. Apple will have to pay this inflated price until at least 2014, which is apparently when the contract between the two firms ends. This price hike will add more salt to the Cupertino wounds after Apple was ordered to publish an apology to Samsung on its website, then pay the Korean firm's court fees after messing the website statement up.